Flannel Friday is celebrating its fourth birthday, and we have decided to do something a little different. What started out with a few librarians sharing their flannel story ideas on Twitter has grown into something pretty special. 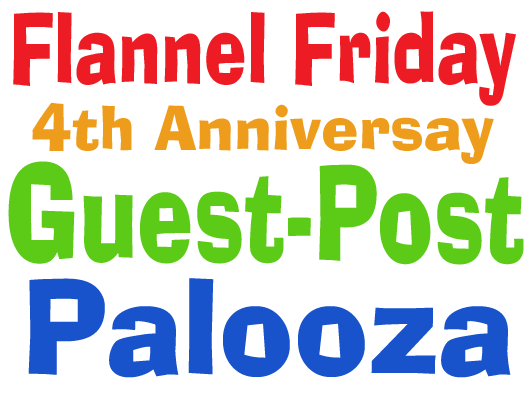 We are hosting a Guest Post Palooza. If you’ve ever wanted to share one your favorite flannel boards, but don’t have a blog, this is your opportunity. We will pair you up with a blogger who is willing to share their spot in the blogosphere. We need people who are willing to post flannel stories and we need bloggers who are willing to post someone else’s work. Is that you? Remember, every single one of us, from Melissa D to you, had to start blogging sometime. This is a great way to dip your toe into the blogging pool.. Please fill out the attached Google form. Sharon or Mollie will contact you with your match. Have questions about this? Check out our FAQs page.